Will Smith New Movie After Earth A Flop? The news is not good for the new movie “After Earth,” which means the news is not good for Sony Pictures, or Will Smith … or, it seems, Scientology, whose sci-fi inflected religious system inspired what was to be a summer blockbuster. Now it’s looking like a summer bust. 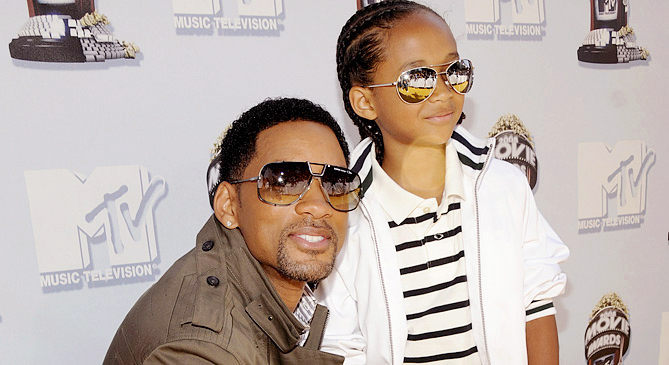 As the NYTimes reports, “After Earth” took in 18 percent less than the lowest of prerelease expectations and may have ended Smith’s reputation as a surefire action-adventure box office draw — not to mention hurting the budding career of son Jaden, his co-star. Oh, and how much further off track could M. Night Shyamalan’s career go? He used to pose big questions in intriguing ways, but he directed and co-wrote this movie, yet another flop for him. The movie has been ripped in reviews, and may well add to the narrative of decline and crisis that has been surrounding Scientology: an exodus of members, tell-all books, lawsuits, celebrity scandals. Well, maybe Scientology IS like a real religion after all. But the main difference may be that Scientology just isn’t watchable. “After Earth” appears destined to join John Travolta’s 2000 film “Battlefield Earth,” which aimed to introduce Scientology’s unusual cosmology to the public, as among the Worst Movies Ever.